A few years ago the promising British band Joe Lean & The Jing Jang Jong caused a bit of a stir. An album was announced, but it never saw the light of day. The band left their label and broke up shortly after. Toy rose from their ashes. This band díd manage to release an album: the self titled début album. They already played a few festivals and toured as a support act with Primal Scream and The Horrors. 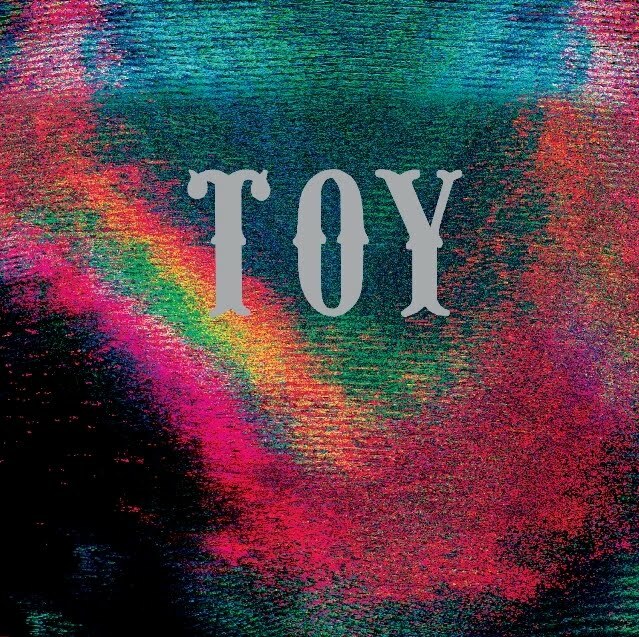 That last one isn't a complete coincidence, since they already called Toy one of the most exciting new bands of this year. The British press are onto the foursome as well and are excited too. Not a bad start for a band that has been around for just over two years. Listening to the record makes clear that all this attention is justified. The band sounds confident and sometimes reminds of aforementioned The Horrors. Except Toy have a broader sound. Where The Horrors mostly sound dark, we can hear more Britpop influences here. Especially echoes of Pulp and The Stone Roses can be heard in the twelve tracks. Among those songs, a few could definitely turn into a hit. Like the catchy 'Motoring', that keeps rocking from start to finish. Or the radio friendly songs 'Lose My Way' and 'Make It Mine'. The music, which is leaning heavily on effects, reverb and synths, reminds strongly of the eighties, combined with psychedelic influences. Some songs have long parts without vocals, which only strengthens the psychedelic effect. The freaky and dark 'Drifting Deeper' even is fully instrumental, as is the short intermezzo 'Omni'. That is not disturbing in any way. In fact these moments make the record so interesting. Eventually it ends in the almost ten minute dessert 'Kopte'. No doubt Toy are one of the most interesting bands in the UK at the moment. The Horrors were spot on there. All this attention could turn them in to the hippest kid on the block. It wouldn't surprise me if we will hear a lot more of them. And hopefully we get to see them in the next festival season. Listen to 'Toy' on Spotify.